Hair Club East Brunswick is a 3-story, steel gray building with black windows and red canopies over the entrance. There will be a “Turnpike Plaza” sign in front. Our building shares the Parking lot with the Days Inn hotel and the Hooters restaurant. The center is approximately 1 mile away from the Hilton Hotel – Turnpike Exit 9. PUBLIC TRANSPORTATION: LINE 100, COACH: Daily express and local bus service operating throughout the day between Princeton, Kendall Park, New Brunswick, North Brunswick and East Brunswick. Call 732-249-1100. I have been served by Gina for many years and have found her to be professional and detail oriented. I would give her 5 stars for customer satisfaction; personality and professionalism. Always satisfied! I’ve been a client for 2 years and will never forget the first visit with my stylist Julie. She transformed all the worry &amp; doubt into one of the biggest self esteem boost! Her kindness, understanding and compassion is REAL! I’m always looking forward to my appointments with Julie. She understands the emotional toll and always turns a negative into a positive. I always walk in with my head high and most definitely walk out feeling beautiful and confident. She truly passes the love she has for her profession onto her clients. Julie has been so supportive and wonderful . It’s great to see her and just say “ do your magic” and 90 mins or less you leave feeling and looking fantastic. I never feel like a client with Julie, but a friend who just popped in to catch up and recharge my confidence. From Jamie and Jessica in management to Lauren and Nicole at the reception desk, the thanks I owe to these women are endless!!! They have taken going above and beyond to a whole new level. I have been coming to this center since 1989 and this is the best that this center has ever been !!! And then there is Jocelin my stylist. She is hands down one of the best new friends I have ever made !!! I could never, ever repay her for everything that she has done for me in the years that I have been with her. She takes her job very serious and to the highest professional standards. The love and appreciation that I have for her is endless !!! Everyone from the receptionist to all of Td hair stylist r very nice and accommodating. Monica is a fantastic technician. She always strives to do her very best to make me look presentable. She cares about her work and her clients. The staff at the front desk is also very helpful in accommodating my schedule and are always friendly and courteous. I’ve going there for 17 yrs, my hair dresser is Julie Marie. She is very nice, knows what she’s doing and does her work very well. She will try new ideas that works on my system. She will recommend new style and hair color. She is very easy to work with. When I could not get Julie , I have also Rosa who does my hair. She is also wonderful. I love them both. They are the front runner of East Brunswick center. 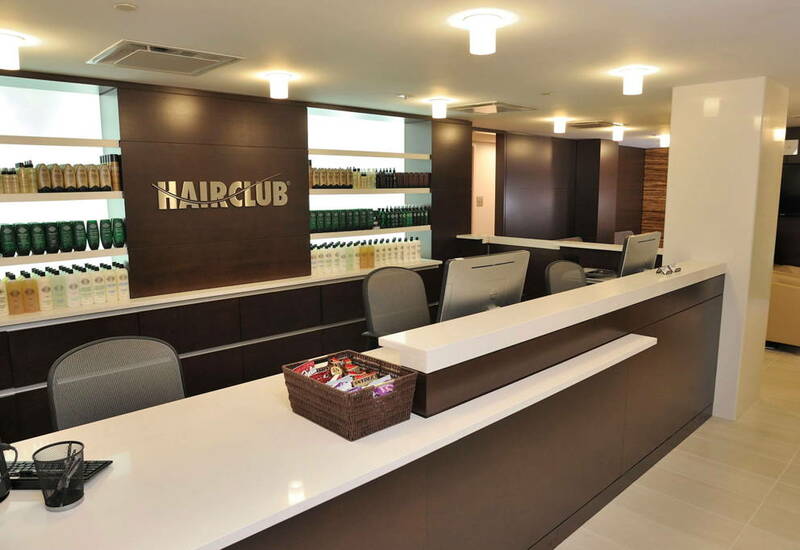 I have been with hair club along time &amp; at east Brunswick it is always a good experience. Julie is my stylist &amp; she is amazing. She will never let you leave if you don't look your best. Not only is Julie excellent at what she does Julie will always LISTEN to any problems I may be having. I can't say enough about her. When I leave hair club I don't think about my hair because it is worry free.